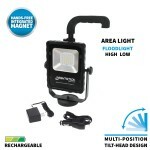 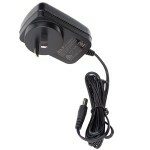 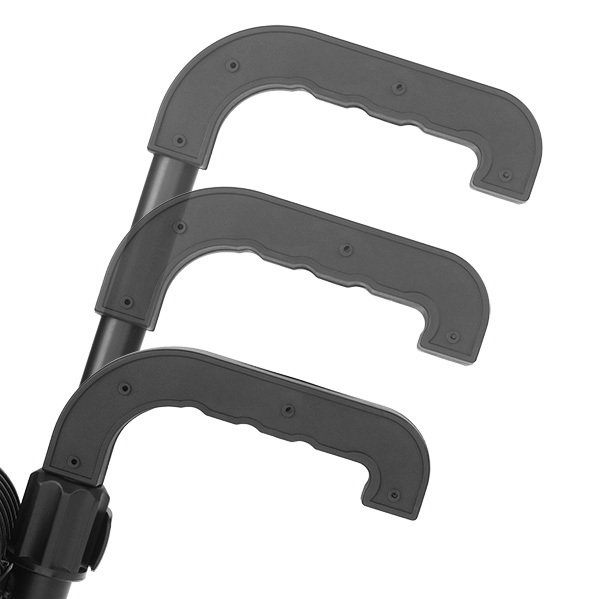 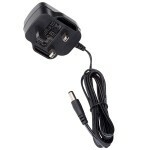 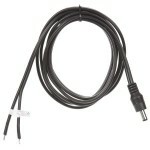 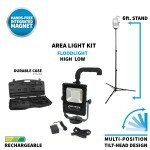 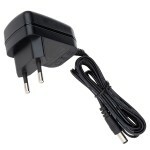 The XPR-5592GCX Rechargeable LED Scene Light Kit is ideal for use when portability is important. 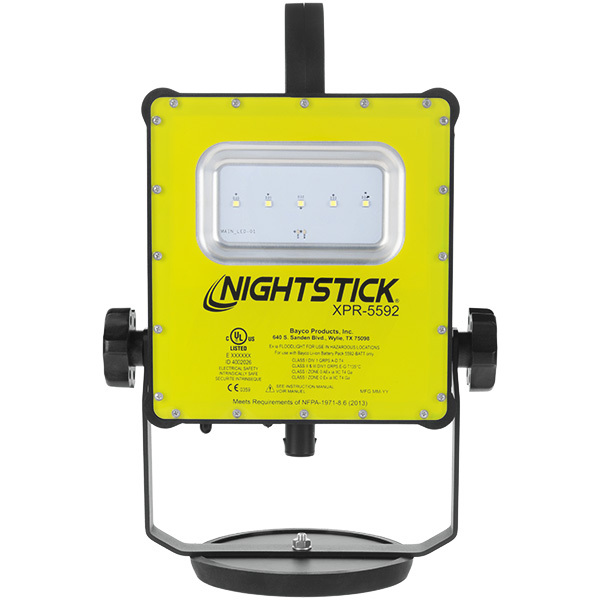 cULus certified Intrinsically Safe for use in hazardous environments, the array of 5 floodlight LEDs perfectly emit an impressive 1,000 lumens on high for 6 hours, or 500 lumens on low for 17 hours when activated using the robust three-position toggle switch. 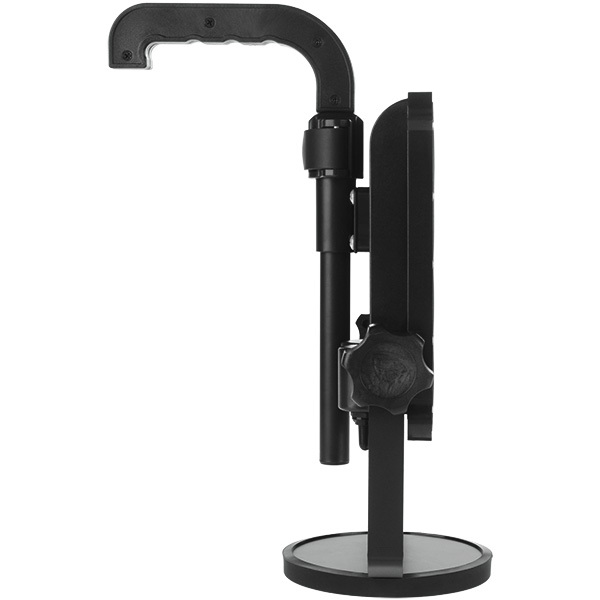 This scene light has a housing that is constructed from lightweight glass-filled nylon polymer keeping it cool to the touch while being chemical, heat, and impact resistant. 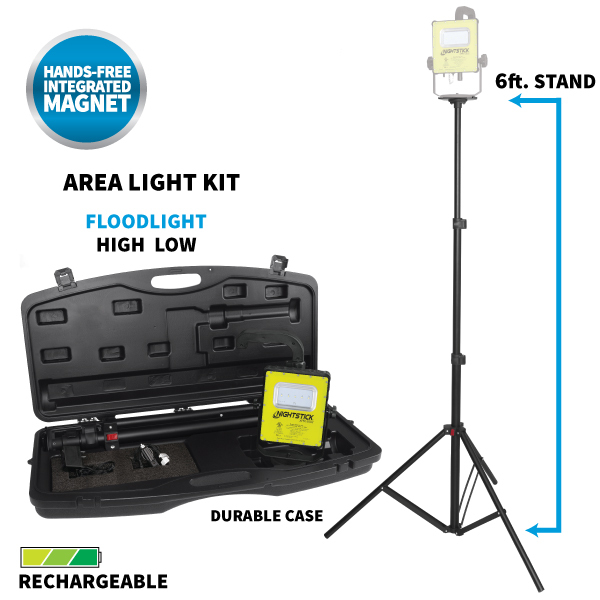 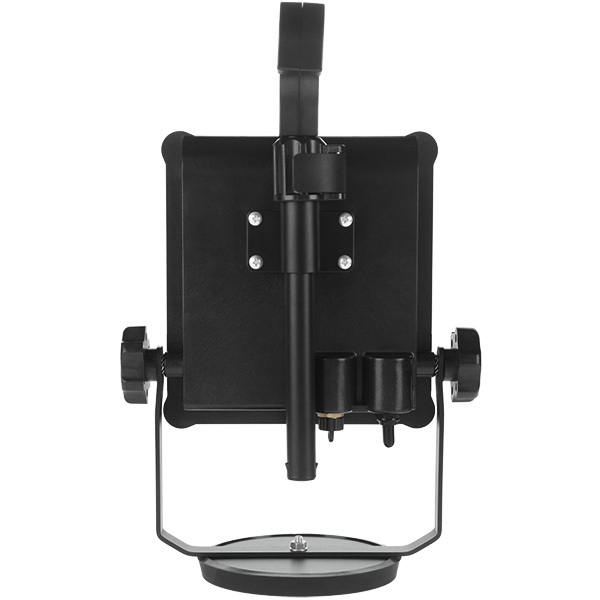 A heavy-duty rare-earth magnetic base is securely mounted on the bottom to provide 360 degrees of hands-free rotation for proper light placement on any job site. 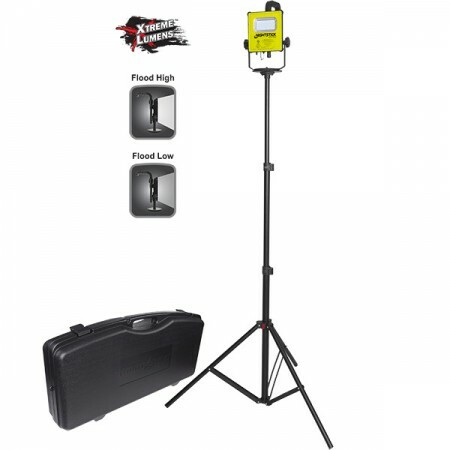 Powered by an integrated lithium-ion battery, this scene light kit includes an adjustable steel handle for carrying or hanging, a 6-foot tripod with camlock adjusters, and both AC/DC power supplies placed inside a durable blow molded carrying case for ease of use and storage.